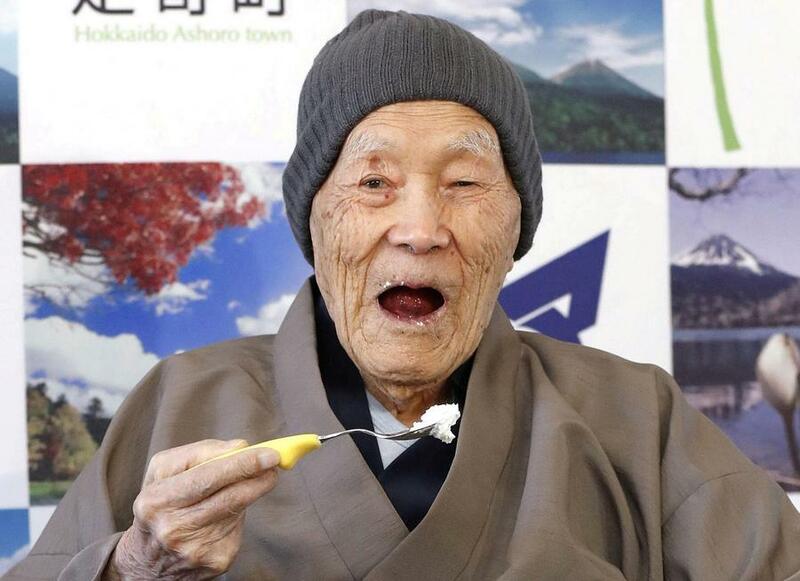 TOKYO - Masazo Nonaka, a 112-year-old Japanese man residing in Japan's northernmost prefecture of Hokkaido, was recognized as the world's oldest living male, Guinness World Records said Tuesday. Nonaka, who was born on July 25, 1905, as well as receiving a certificate from Guinness World Records, was also presented with an award and a cake from the mayor of the town of Ashoro where he was born and currently lives, local media reported. Nonaka, who said he enjoys watching sumo wresting on TV and listening to music, lives with his family in his home in Ashoro. The home is also a hot spring inn dating back more than a century that Nonaka used to run with his wife. "Mr. Nonaka's achievement is remarkable," Craig Glenday, Guinness World Records' editor-in-chief was quoted as saying, adding "He can teach us all an important lesson about the value of life and how to stretch the limits of human longevity." Koki Kurohata, No[MG_SEO]naka's great-grandson said "He has not been receiving nursing care at a facility and has clear brain. He's really amazing." His granddaughter, Yuko, said that her grandfather enjoys relaxing in the hot splebron wristbandring once a week and has a sweet tooth, enjoying cakes in particular. Following the death of Jamaican Violet Brown aged 117 in September, Nabi Tajima, a 117-year-old Japanese resident of Kagoshima prefecture, is likely to be recognized by Guinness World Records as the world's oldest living woman.